One of the most mysterious civilizations in history is said to be from Ancient Egypt. These ancient Egyptians have left their marks in the passage of time for us who are both knowledgeable but also confusing and extraordinary. They managed to build advanced infrastructure and use technology beyond their time, some even comparable to today’s technological innovations. While there are many questions still unanswered by Egyptologists, some have resorted to naming aliens and extraterrestrials as a reason for these mysteries. One of the first sights to visit in Egypt for any tourist is the pyramids of Giza. 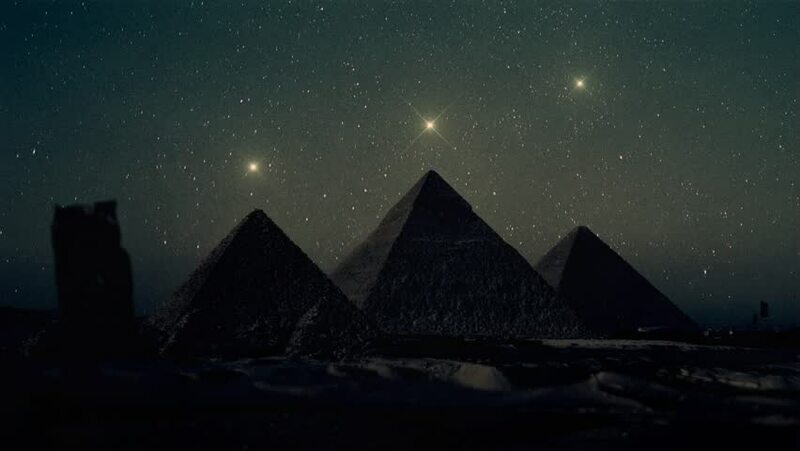 But did you know that the three pyramids are perfectly matched with the stars in Orion’s Belt with the size of the pyramids being correlated with the brightness of each star? The pyramids are even aligned with the North Magnetic Pole. While this marvel may be possible with modern technology and supercomputers, what exactly did the ancient Egyptians use to calculate the position and brightness of the stars as well as the placements of the pyramids? If you are thinking elephants and a huge labor force, then maybe but it’s thought that this was the only factor. Some say that the direction and guidance required to build such structures could only have come from aliens. 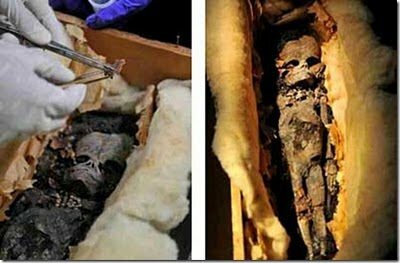 An alien mummy was uncovered by Dr. Victor Lubeck from the University of Pennsylvania (retired professor) in a small pyramid near Senusret II’s pyramid. The mummy doesn’t appear to resemble a human body with a face that is especially different. It was found surrounded by unidentifiable objects which have baffled Egyptian authorities. While this discovery could be the link to proving the influence of aliens on ancient Egypt, governments have consistently been refusing to validate this claim. Fortunately for those who believe, there are also other discoveries throughout history which point towards alien influences. During the 18th dynasty, Egyptian Pharaoh named Akhenaten was said to be one of the biggest religious innovators in history because he converted Egypt from a polytheistic society to a monotheistic one. 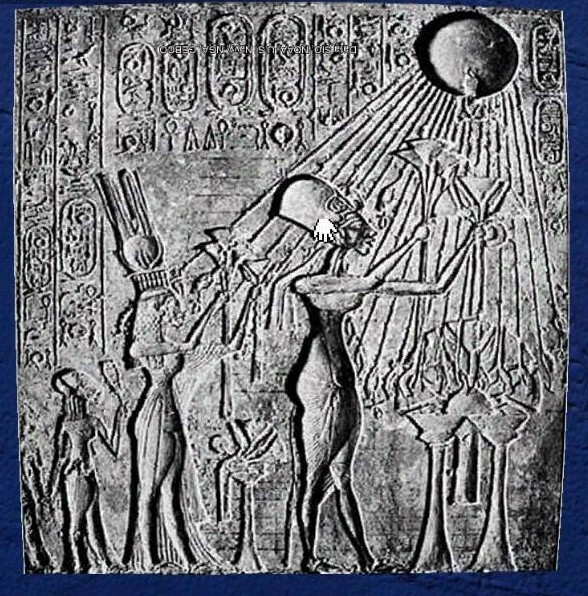 This new god the pharaoh worshiped was called the Sun Disk or Aten. This pharaoh had even built an entire city for this god as a sign of his devotion. However, the poetry at the time portrayed this pharaoh to be visited by visitors from the sky while others speculating that the pharaoh himself was one of these beings himself. Another reason many believe the influence of aliens on ancient Egypt to be true is because Akhenaten would not have been able to convert an entire civilization’s religion without any help or guidance from someone or something with more wisdom or power. 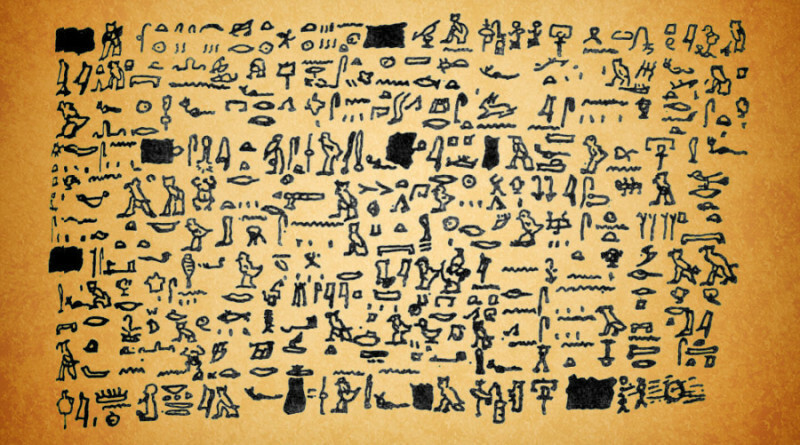 This papyrus script from the era of Thutmosis III’s rule was discovered by the former director of the Egyptian section of the Vatican Museum, Alberto Tulli. This Tulli Papyrus is said to the best proof for the existence of aliens and extraterrestrials. This is because this papyrus contains descriptions of how the writer saw a circle of fire approaching from the sky and objects (in the shape of alien discs) increase in number before leaving. The Tulli Papyrus is important evidence towards the existence and influence of aliens on ancient Egypt. Unfortunately, the papyrus is now lost from the hands of Tulli’s brother who received the item shortly before his own death. Whether his death was a coincidence or a conspiracy is unclear but many have said the Papyrus to be very important to those who want to prove alien influence over ancient Egypt. 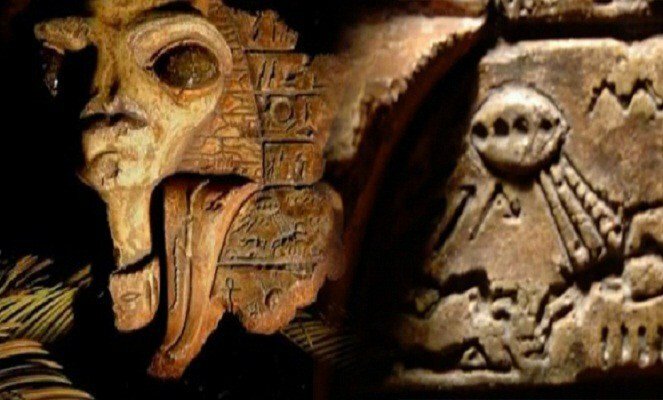 Another reason for considering the influence of aliens of ancient Egypt can be seen from the Egyptian hieroglyphs that were allegedly found on UFOs. 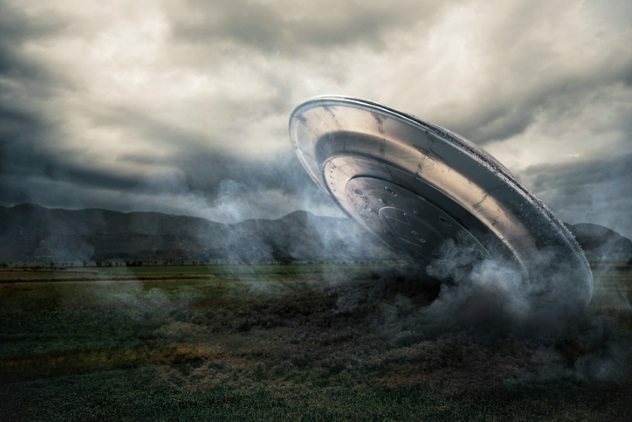 These UFOs include the Roswell UFO which is said to have crashed in 1947 as well as the UFO from the Rendlesham Forest in 1980. How is it that these two UFOs, which crashed 33 years apart, have the same ancient symbols? Particularly the symbol of a triangle with two spheres which was found to be witnessed on both UFOs. This point raises questions on the origin of the technology as well as the language and writings of the ancient Egyptians. From the home of one of the best Egyptologists ever, Sir William Petrie, officials found hidden, a number of ancient artifacts from Jerusalem. These artifacts were taken from his home by Rockefeller Museum in Jerusalem where they are kept in secret. These ancient artifacts are rumored to be of unearthly origin with the items including two mummified bodies of extraterrestrials. There are also items which depict unexplainable symbols of UFOs and aliens. Another point that fueled the conspiracies regarding the alien influence on ancient Egypt is Petrie’s reason for hiding the artifices in the first place. Rumors speculate these artifacts were supposed to be secreted from the public to hide the existence of aliens and extraterrestrials. So, it can be said that while there is a lot of speculation, rumors and conspiracy theories regarding whether or not aliens influenced ancient Egypt and its leaders, there has not yet been scientific evidence to publicly validate these claims. However, while there isn’t sufficient scientific proof, these 10 signs may be an indication of the truth. Unfortunate for most of us, we can only guess and gossip about this topic without being able to get close to the truth. But it’s also known that the truth always comes out.